Passing on traditional boat making skills and giving students the opportunity to discover hidden talents is the aim of boat builder Kem Jackson. Alnmaritec, based in the Port of Blyth, is building the specially-designed boat for Offshore Shellfish. It will service the company’s rope-grown mussel ..
Something of interest to builders and other marine businesses that import engines, vehicles and other equipment, especially outboards. Federal environmental and customs officials said Thursday they will step up inspections at the nation’s busiest port complex after discovering hundreds of imported vehicles, engines and other equipment that failed to comply with U.S. emissions standards. Among the illegal items found were go-karts, outboard boat engines and miniature trucks. 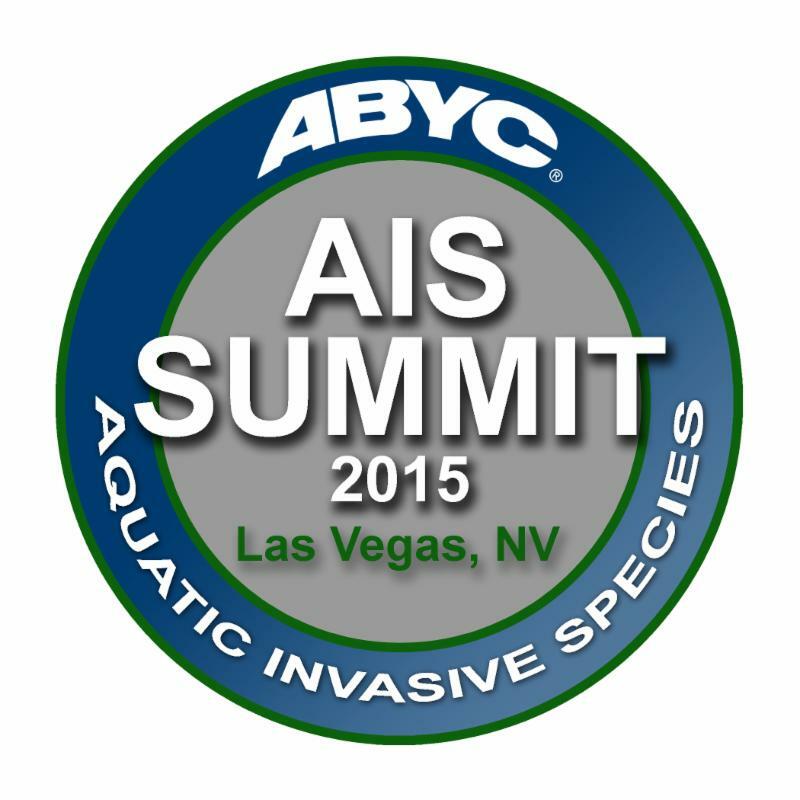 Aquatic invasive species (AIS) are a significant environmental threat and create a negative boater experience. Seeing the connection between boats and the risk of spreading AIS, ABYC proactively hosted the Aquatic Invasive Species Summit: Boat Design and Construction in Consideration of AIS. The AIS Summit focused on identifying and vetting opportunities related to boat design and construction, component/system design and installation, engine and propulsion systems, and trailer design and construction. Norm Schultz of Trade Only Today wrote a two part blog about the event and the issues of AIS. Click here to read more about the Summit and the results. ABYC in partnership with MRAA has launched a new marine industry career center. This fantastic online resource will provide a comprehensive matching system for employers and job seekers in the boating industry. Job seekers will have free and confidential resume postings and employers will find unmatched exposure for job listings and easy online management. Click to check out CAREER PIER. ARE YOU AN ABYC MEMBER? 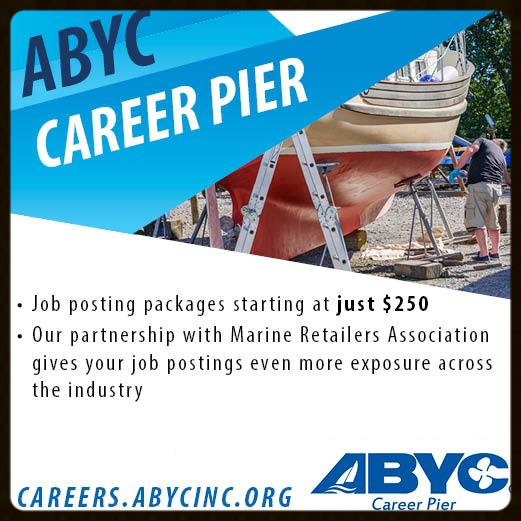 Membership can save you hundreds in the ABYC Career Pier (on top of all the other great benefits ABYC has to offer). 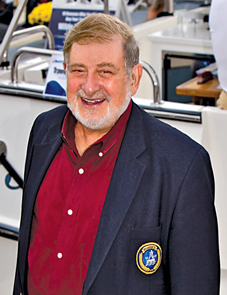 Boat Own ers Association of The United States (BoatUS) chairman and founder Richard Schwartz, who created and grew the association to become the predominant advocacy and boater services organization for the nation’s recreational boat owners, passed away Wednesday after a short illness. He was 85. Two years ago Schwartz announced his retirement from a 47-year run as the leader of the over half million member boating association, and until his passing, remained chairman of the BoatUS Board of Directors as well as chairman of the BoatUS National Advisory Council. Click here to read more. Marine industry vendors have already committed to nearly 90% of exhibit space on the show floor of the 25th International BoatBuilders’ Exhibition & Conference (IBEX) taking place at the Kentucky Exposition Center in Louisville, KY from Tuesday, September 15 – Thursday, September 17, 2015. Celebrating over two decades of marine innovation, technology, and excellence IBEX, the largest trade event for boat building, design and maintenance, will offer valuable networking events and educational opportunities. Click here to read more. Two heavyweights in the marine industry’s propulsion segment introduced new products Wednesday at the Miami International Boat Show. Mercury Marine debuted two high-horsepower 4-strokes – the Mercury Verado 350 and the Mercury Racing Verado 400R – and the Mercury Racing 1550 gasoline sterndrive engine. Click here to read more. The National Marine Manufacturers Association (NMMA) and Boating Writers International (BWI) announced today winners of the 2015 Progressive Insurance Miami International Boat Show Innovation Awards, presented during the annual Industry Breakfast at the Miami Beach Convention Center. This year’s program featured a record number of entries with 97 products-a 68 percent increase in entries compared to last year. ABYC’s Ed Sherman was on the judging committee. Click here to see the winners. The “Internet of Things” is the universe of smart devices that talk to the internet or to one another. The devices have unique identifiers and the ability to automatically transfer data over a network on their own, without human interaction. Some examples in the home include WiFi-connected home security systems, thermostats, cameras, refrigerators, and wearable technology. Some industrial examples include smart grid utilities, patient monitoring, connected commercial vehicles, and smart buildings and factories. Cisco estimates that there are about 200 connectable things per person in the world today. By 2020, it’s estimated that 50 billion things will be connected to the internet. Click here to read more. Through its Evinrude brand, BRP will be showcasing the alternative fuel biobutanol, a second-generation biofuel, during test rides at the Miami International Boat Show. BRP’s Evinrude engineers have been collaborating for four years with the National Marine Manufacturers Association (NMMA) and several engine and boat manufacturers in the testing of advanced alternative fuels for use in recreational marine engines and boats. 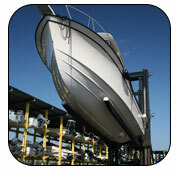 Supported by the U.S. Department of Energy, Office of Energy Efficiency and Renewable Energy and Argonne National Laboratory, Evinrude has been integral to the four year comprehensive testing program which includes the American Boat and Yacht Council (ABYC) and other boat and engine manufacturers across the industry. “Boaters have the opportunity to test how the fuel works first hand here at the show, and that’s definitely part of the equation in creating interest and demand for this next-generation biofuel,” said Jeff Wasil, engineering manager in emissions testing, certification and regulatory development for BRP-Evinrude. Click here to read more. Blue Sea Systems, a Bellingham based manufacturer of marine electrical systems, hosted the ABYC Marine Electrical Certification course in late December. Nine Blue Sea Systems employees attended the course and passed the rigorous electrical certification exam. “We appreciate the training and insight our personnel get from the ABYC and how it enhances our ability to better support our customers on technical questions,” said Wayne Kelsoe, Chief Technology Officer for Blue Sea System. “It was an honor to teach an ABYC Electrical Certification Class to nine employees and eleven local technicians at the Blue Sea Systems facility,” said Kevin Ritz, ABYC Instructor. “It is through the efforts of companies like Blue Sea Systems, working with ABYC, which ensures boaters receive safe, high quality products for their electrical projects.” Read full press release here. Contact Sandy Brown to host a class and get a free seat in the certification class! Due to tremendous interest in offering a program that will help manage mandatory insurance costs, ABYC is getting ready to launch a National Group Insurance Program exclusively for our members. If you are a mobile marine technician, mechanic, surveyor, consultant, boat broker or naval architect and need liability or professional negligence insurance, this will be a great opportunity to obtain competitive rates for your business. We will be sharing more information in the coming weeks, so keep your eyes open and check our website (www.abycinc.org). True craftsmanship creating a yacht of style and substance seamlessly … Ray is the world’s leading manufacturer of superior quality pleasure boats. Members are needed to serve on the National Boating Safety Advisory Council. The United States Cost Guard (USCG) announced in the Federal . It was impossible to move if nine boats were in the old rigging building, Bourdeau said. The new space can hold more than 17 boats, which can be 18 .